Dr Ho’s practice encompasses patients who are not Sydney-based. We cater for many interstate and overseas patients. Prospective patients come to us through word-of-mouth and travel for Dr Ho’s expertise. Dr Ho’s rooms are conveniently located less than 20 minutes from Sydney’s Domestic and International airports, and Sydney’s CBD. 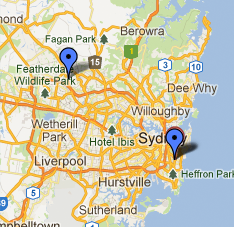 How long do you need to stay in Sydney after discharge? Please call +612 9650 4900 if you would like to speak to Jackie our Practice Manager, or send us an enquiry.